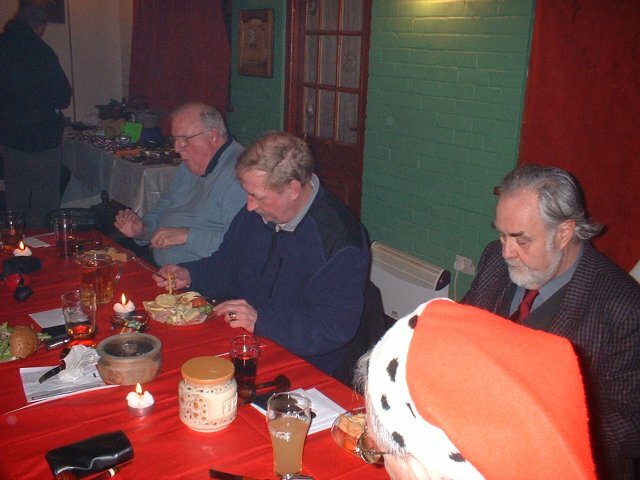 Xmas draw night, accompanied by an excellent buffet, saw over 50 prizes given away. 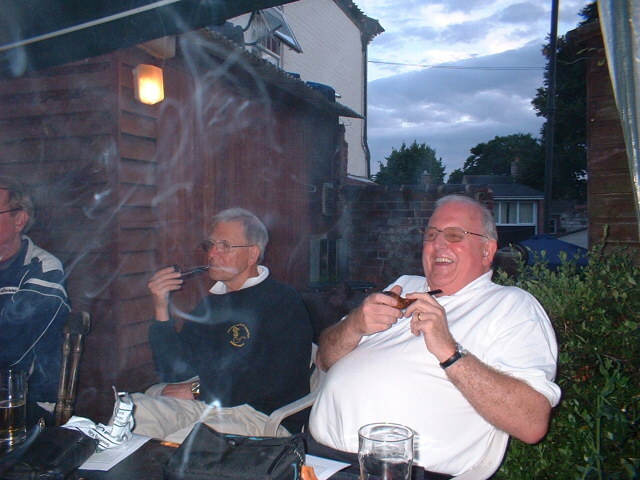 The usual suspects - the Secretary and the Chairman - did well as normal as did John Walker. 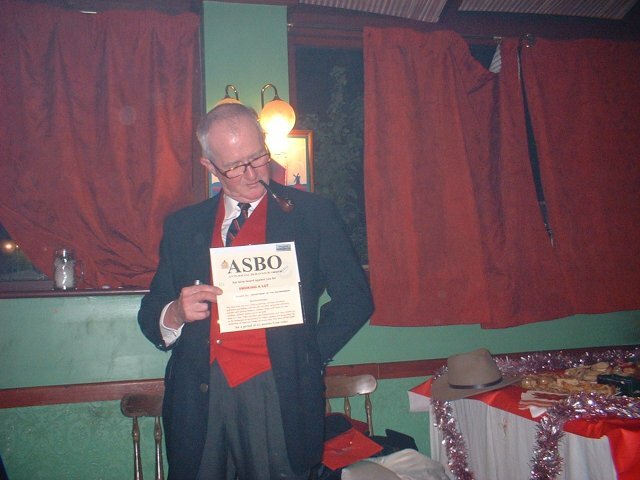 Reg Walker received the night's booby prize - a smoking ASBO. 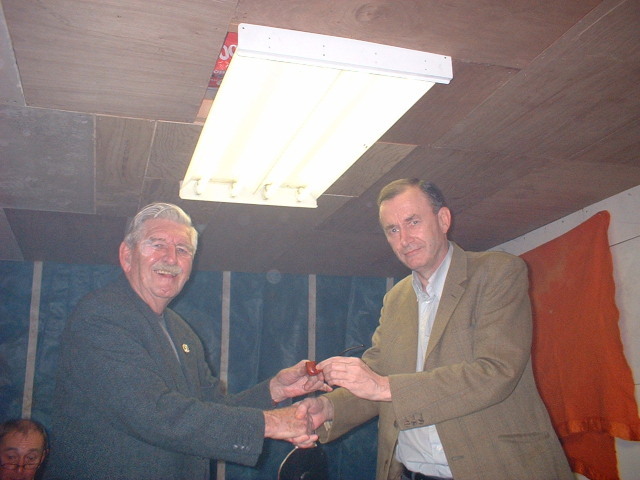 John Betts was presented with a box of cigars in recognition of his hard work in making the SmokeEasy comfortable. 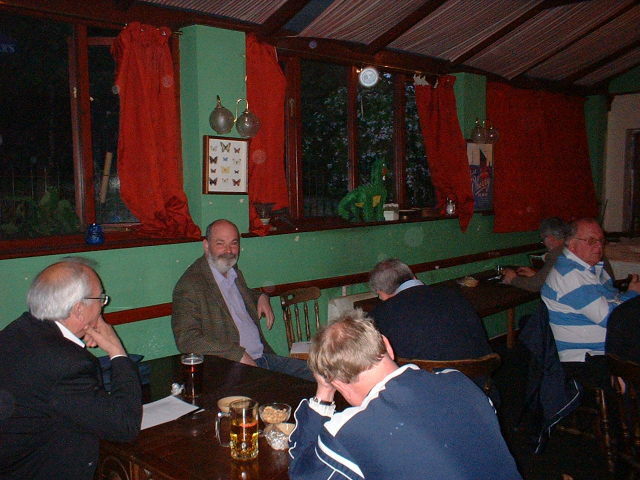 Sadly, it appears that our venue, the Rosary Tavern, may be closing down in January 2009. We shall have to wait and see what happens. 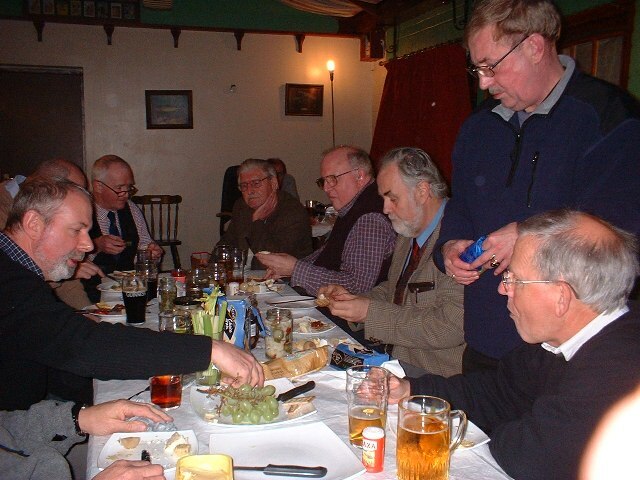 As is usual every year, the club Secretary went to the cheese stall on the market and obtained about ten pieces of different varieties of cheese. 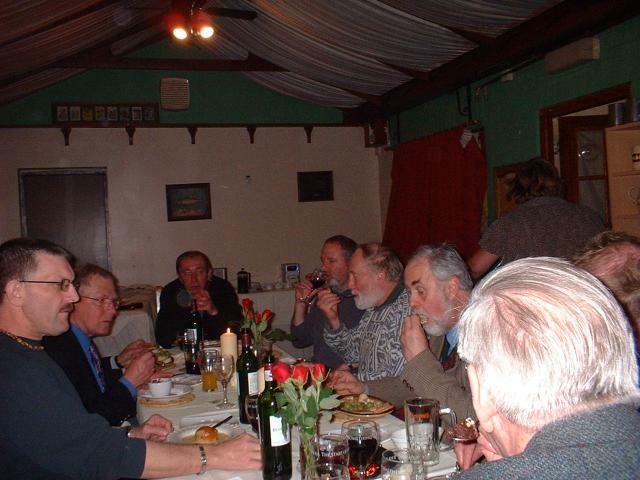 This year we had types ranging from goats, farmhouse Cheddar, soft Brie, something very similar to Gorgonzola and a particularly tasty Calvados-flavoured Livarot. 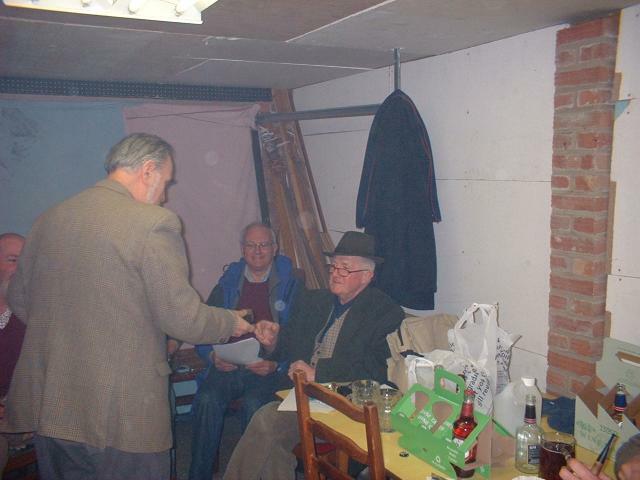 The Secretary also procured some pickles - onions, gherkins et cetera and members were encouraged to bring their own. 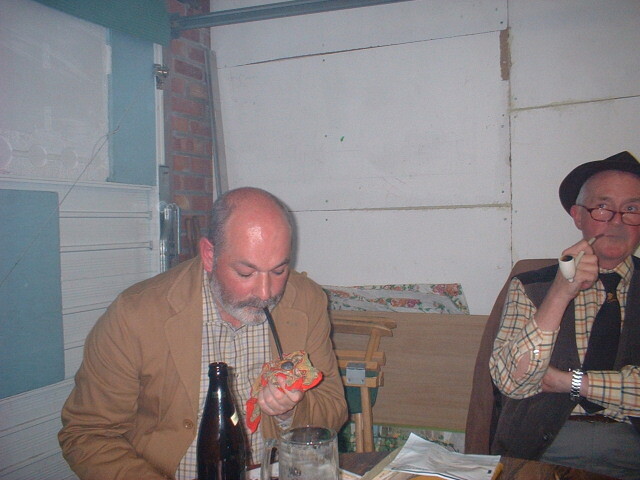 Tony brought some "bread and butter" pickle made from something which looked like the vegetable equivalent of roadkill, Reg found a mildly hot Indonesian relish and John Walker produced some red-hot pickled chili peppers, the heat from which caused him to stagger to his chair in tears. Some strange dreams were had later that night, as well as cases of indigestion and heartburn. 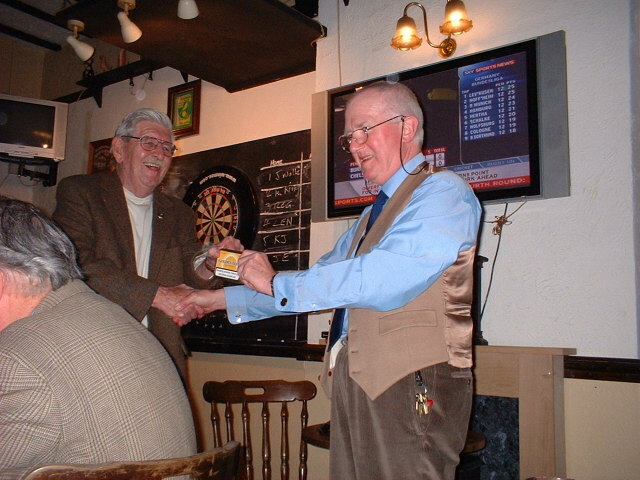 Reg Walker won this year's darts and Frank King was highest scorer. Some excellent times this year. 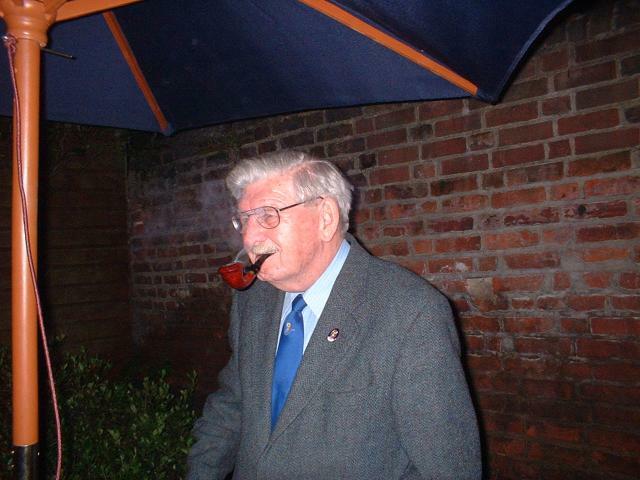 John Walker's prize was a very nice Hardcastle short churchwarden. 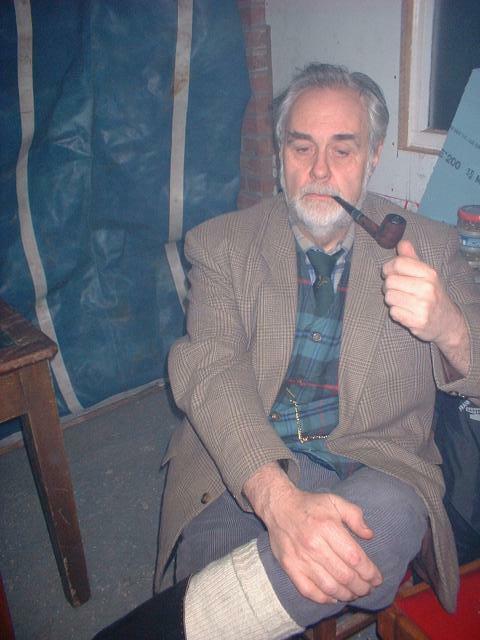 His pipe got so hot that the outside of the bowl turned black! 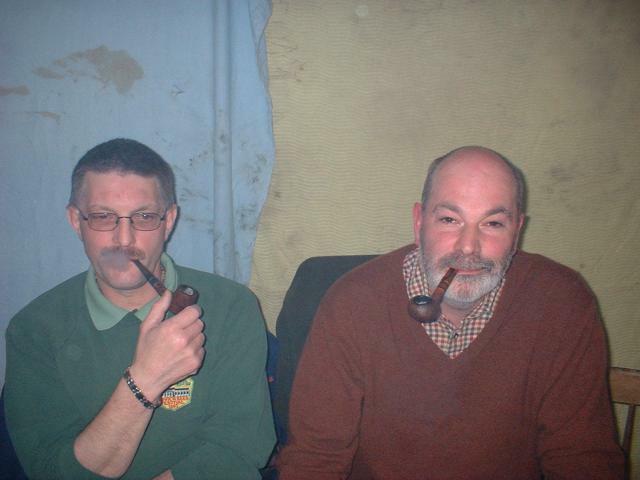 Tony Larner did remarkably well considering his pipe fell apart after 20 minutes. 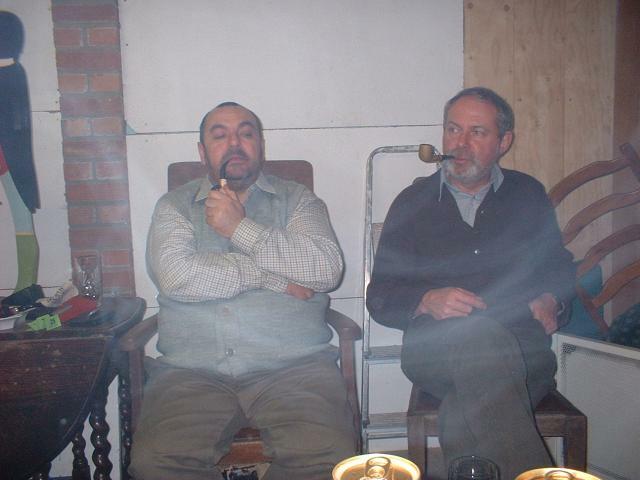 Frank, Tony and Reg (with an enormous pipe). Runner-up Tony. We expected him to produce a dove from the handkerchief. 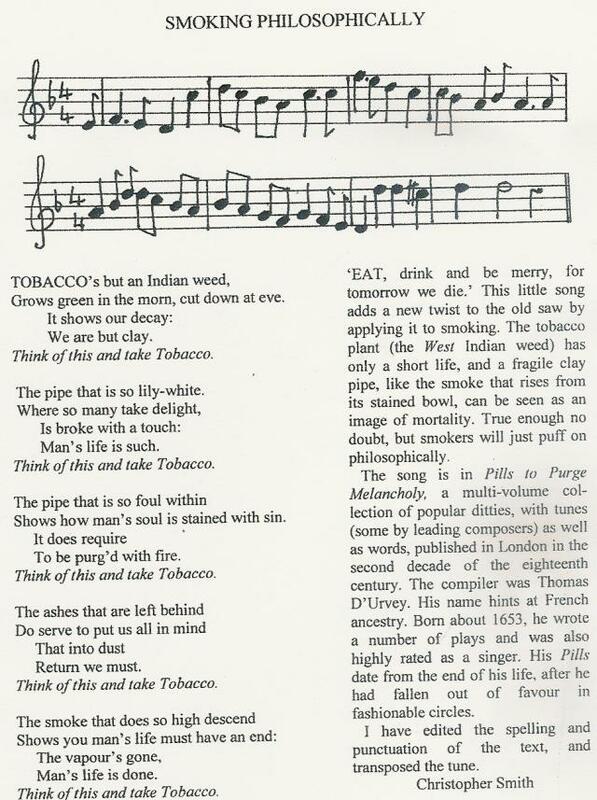 Fiendish quiz from Keith - I wonder what he was smoking when he thought this up. 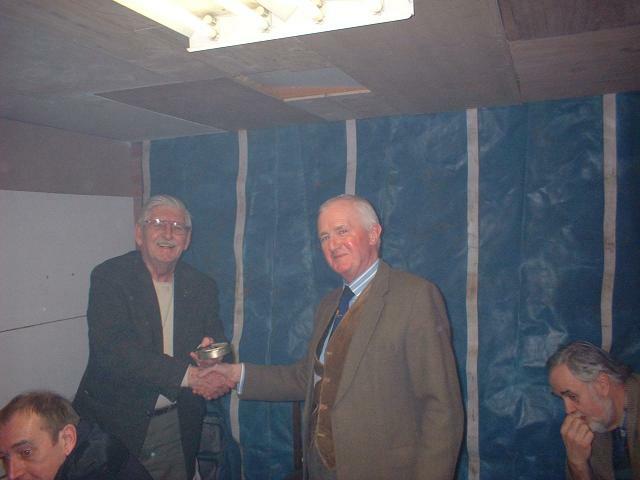 We ended up with joint first prize winners - John Eason and Frank King Jnr. John, Tony and the other prize winner, Frank. 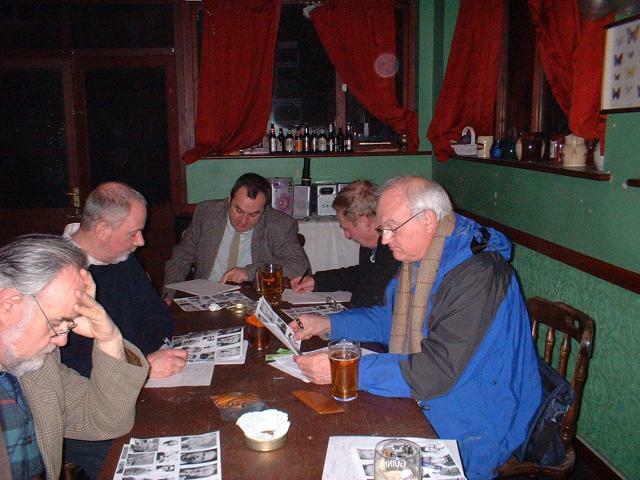 PCN meetings were originally held in The Iron Duke (now the Wellington). 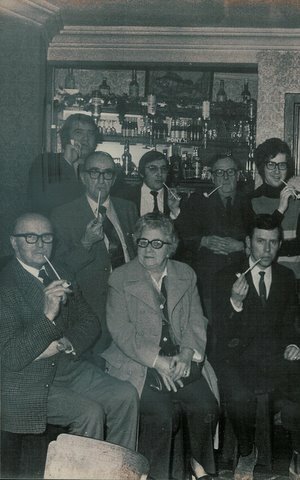 This photo was taken around 1973, when the Chairman (far right) was Godfrey Richardson. He is standing beside Secretary Malcolm Palmer and Treasurer Shaun Struthers. 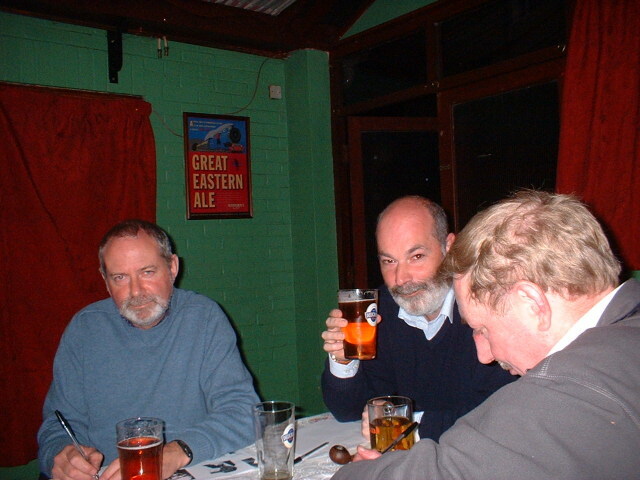 Elsewhere in the photo are current members Elvin and Walker (Coleman must have been behind the camera). 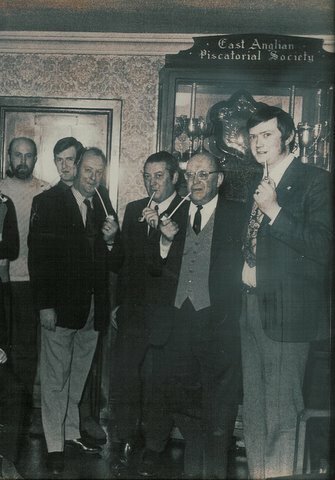 Past members Meek, How and Wilde (who was then Manager of Lambert's Tobacconists) are among the crowd. Anyone name the others? The other couple of cuttings from EDP may be of interest. 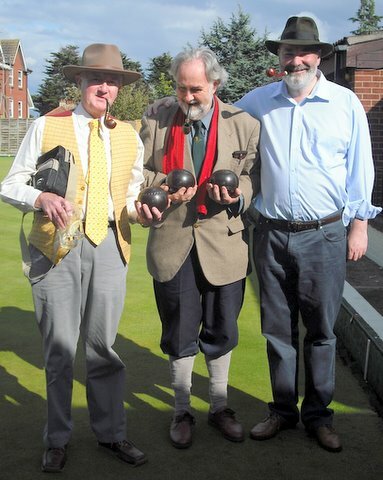 Let me explain that we were due to have a bowls match at Sheringham on the North Norfolk coast. It was raining, I was on the train and Frank King told me he just had a message from Keith saying the bowls was off. This sounded reasonable to me so, instead of going to Sheringham, I had a look round Cromer (about five miles from Sheringham) which I hadn't been to for years. Yes, I shouldn't have listened but I thought that, because Keith plays bowls, he would know whether it was too wet or not. So I assumed that the bowls green would be too wet to play on. 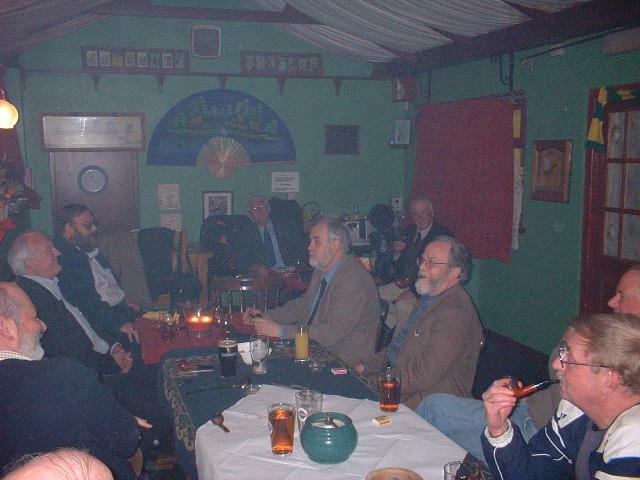 However it turned out bright in the afternoon and those who did turn up had a match. I think we should have it again next year. It certainly is quite enjoyable. 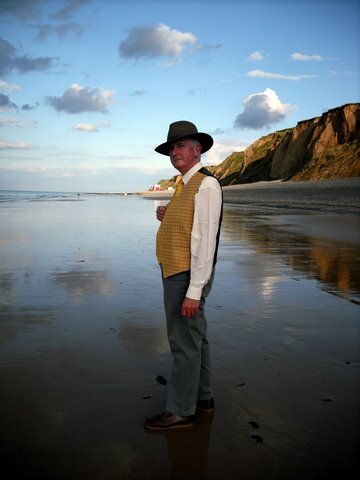 Cromer hasn't changed at all really, and I had a Cromer crab and couple of pints. And rouse him at the name of Sheringham. That bowled with us upon that Sheringham day. Copyright W Shakespeare; from an idea by KJ Coleman. Keith Coleman has magnificent bowls. Reg has only got one bowl and poor Tony has no bowls at all. Near Sheringham on a sunny afternoon. 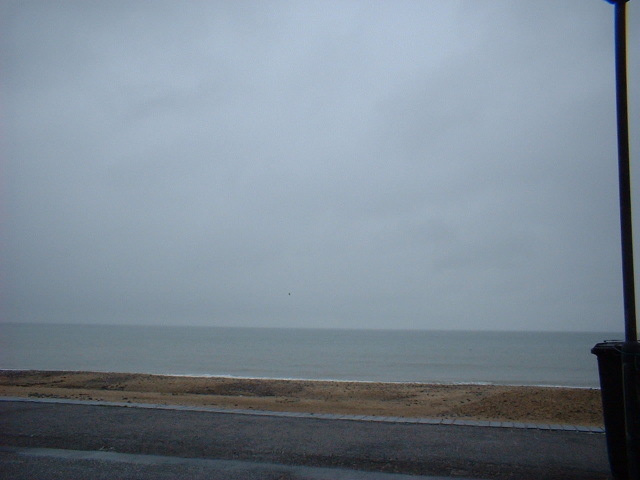 The pristine sands of Cromer at noon. Apparently, Winston Churchill went to Cromer as a boy and is supposed to have said, "I am not enjoying myself very much." I can understand. 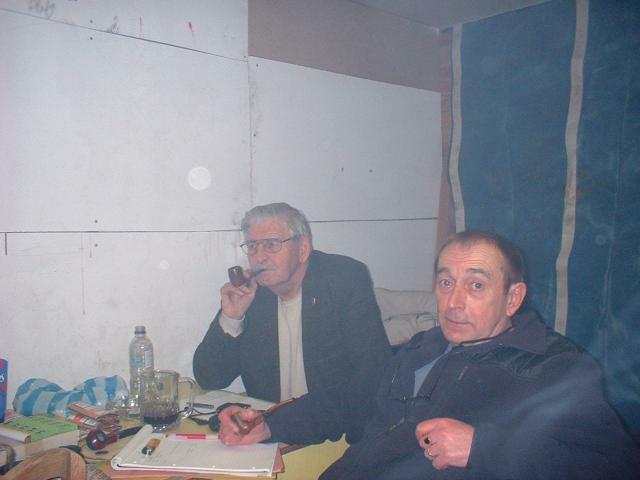 The useful sum of �54 was raised from the annual auction of recycled crap valuable collectibles. 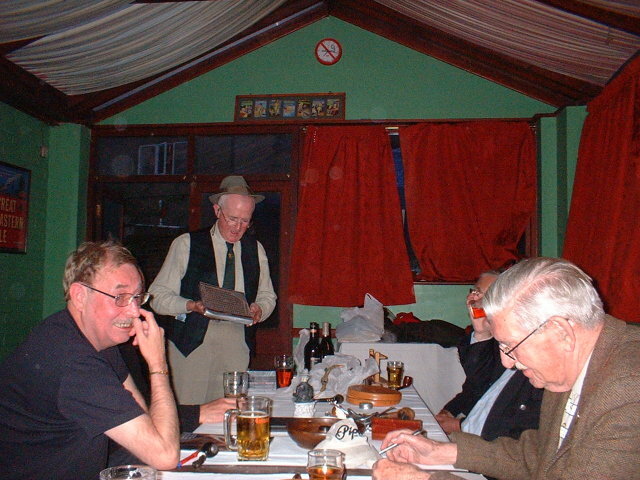 The picture shows Reg Walker at the end of the table doing an excellent job of auctioning off something to someone with more money than sense. Annual outdoor 3 grams competition. A very pleasant evening. 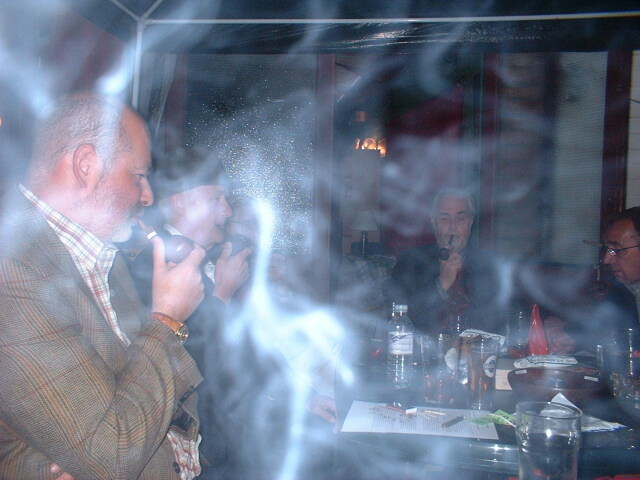 Chairman Len won his first smoking competition for over two years with an excellent time of 79 minutes. John Eason is remarkably jovial considering he has just gone out. A foggy night in Old Norwich City. 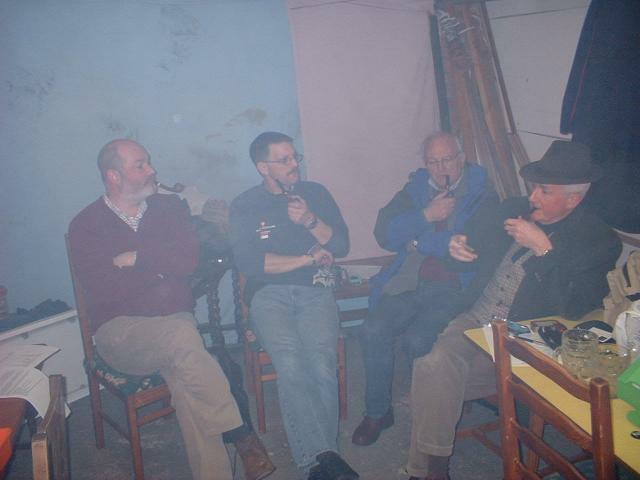 The PCN tobacco jar (pictured above), inherited from the defunct Pipe Club of Colchester was blown off the table in a high wind during the June social evening and is sadly no more. A new jar has been procured - hopefully to be filled with sweepings from behind Churchills shelves. Keith's Sixties pop music quiz. Nice to hear some old songs again. Pity most people could not remember the names of either the artists or the song. Never mind. Another enjoyable evening. The Secretary and DJ for the evening. John Eason in the Middlesex stripes on his way to victory. 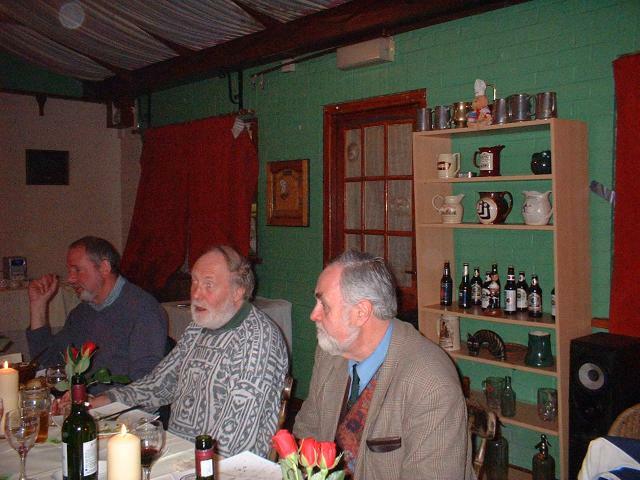 A lovely dinner at the Rosary. The Secretary's table manners shock Don Warman. 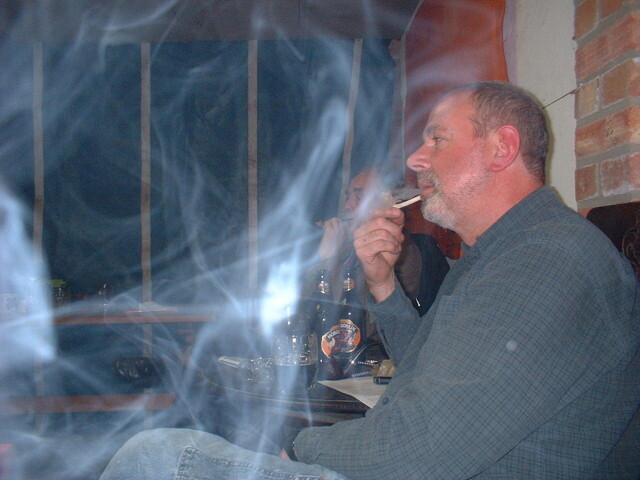 Chairman Len lights up outside. 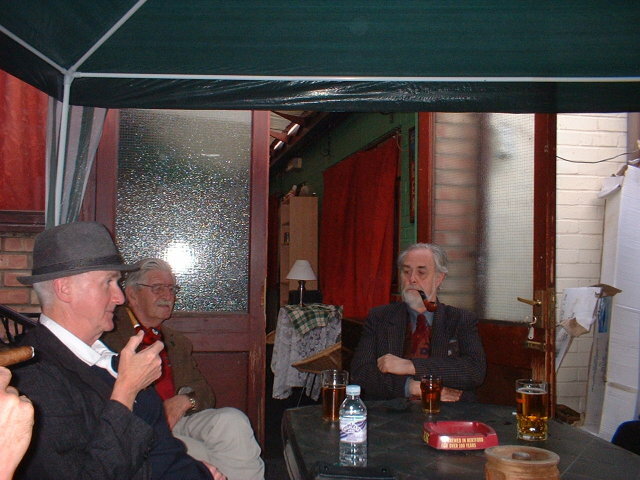 John Elvin inside Churchills tobacconist. John Elvin is retiring after 50 years in the business. 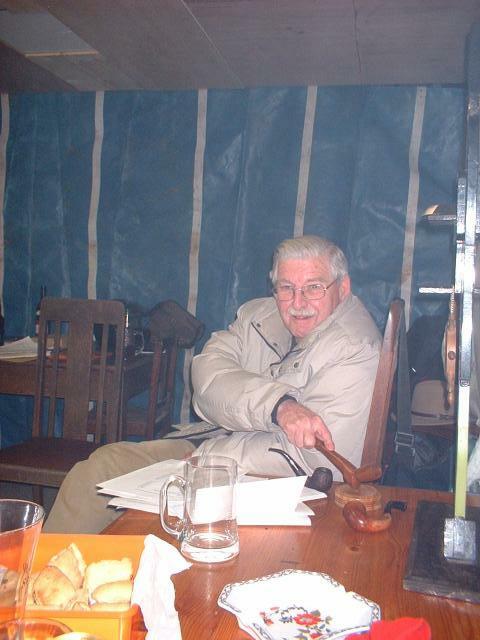 The best known tobacconist in the city is retiring after 50 years in the business - but is not holding out for a long-service medal from the Queen after once running out stock of her late sister's favourite brand of cigarettes. 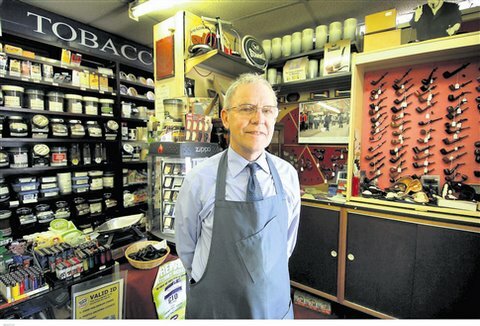 John Elvin, 64, has been the manager at Churchills in St Andrew's Street since it opened in 1988, and started his career at Lambert's tobacconist in Gentleman's Walk in 1958. 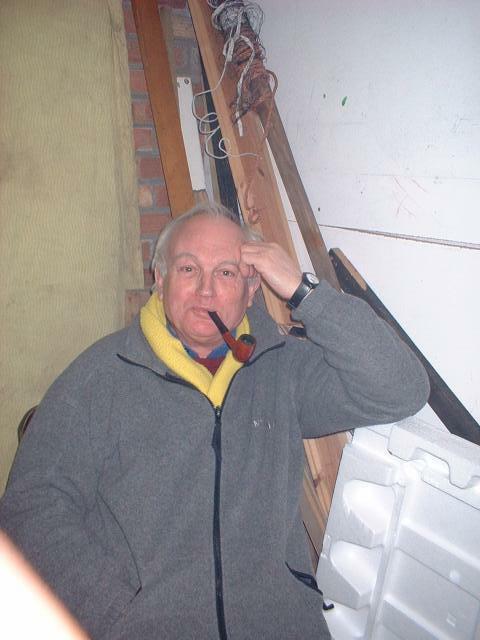 But the popular shop on the corner of Bridewell Alley will continue without him, although current owner Keith Garrard said he would be a hard act to follow. 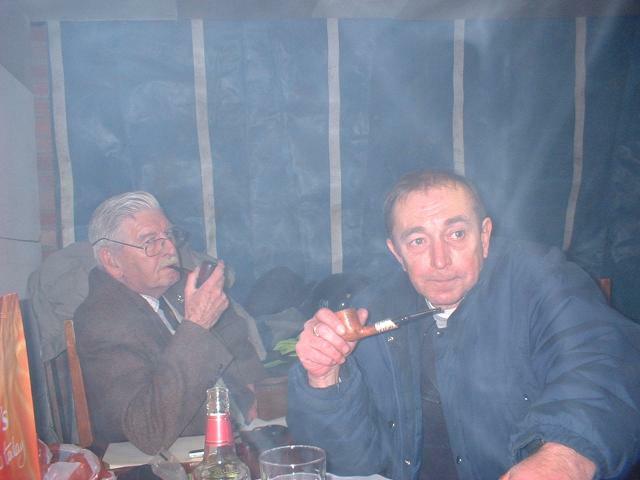 The grandfather-of-seven, who occasionally smokes a Cuban cigar or a pipe, is retiring on May 31, which conveniently is the day before his 65th birthday on June 1. It will be a landmark occasion for Mr Elvin, but not one he expects to end in any special recognition from the Queen. He said: "I forfeited that possibility several years ago when Princess Margaret was at a function at nearby St Andrew's Hall and sent out to Churchills for a pack of her special cigarettes. But, for the first time in months, we were out of stock." 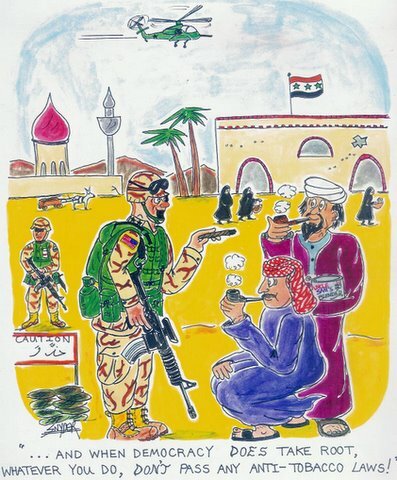 But despite missing out on the chance to supply cigarettes to a member of the Royal family, Mr Elvin has thoroughly enjoyed his time as a tobacconist. He said: "They have been 50 really happy years. I have been here so long that the tots who once came into the shop are now parents. "I will miss the customers most. In a little shop like this you build up a relationship with some customers. 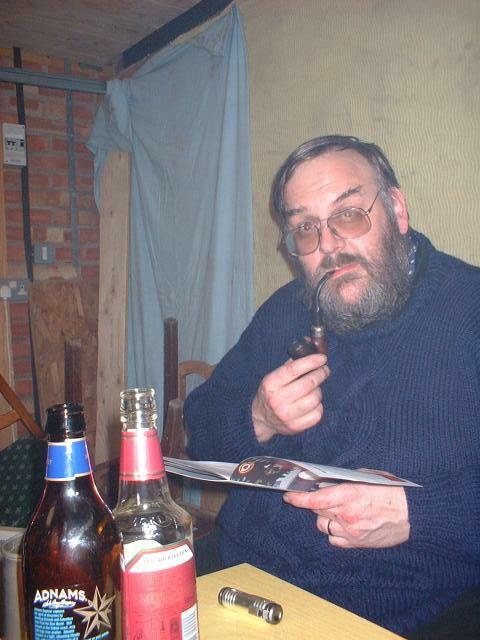 "The big majority of art students we get in here smoke and for the three years they're in Norwich, you become a sort of father figure to them. And, then, when years later they call in just to say hello, you know you have done something right." He said he owed it to his wife Maureen, 68, to quit. He said: "I get to work at 6.30am and get home at 6pm so there's not much time to be together. It will also give me more time for gardening, bowls and bird watching." 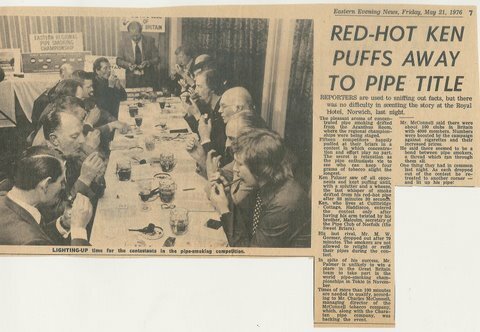 When Mr Elvin, who lives in Sprowston, started in the business, about 70pc of the adult population smoked - that figure is now just over 20pc. 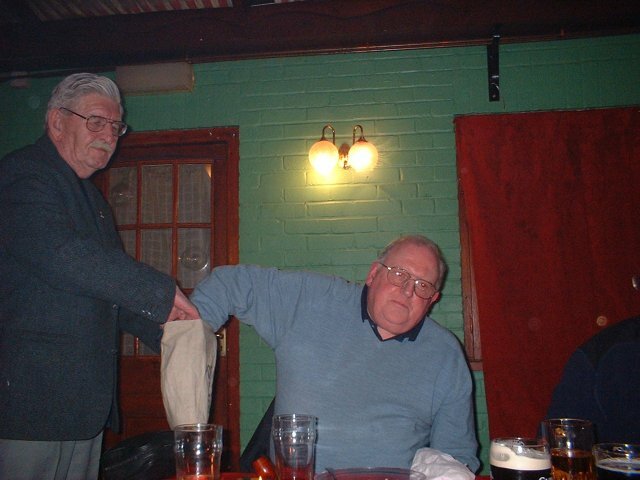 He said: "I started at Lambert's in Gentleman's Walk in 1958 and my job title was just the 'boy'. I earned �3 2 shillings a week, less deductions, which left me with �2 12 shillings take-home pay. I started work straight from Wensum View School, which is now a middle school. 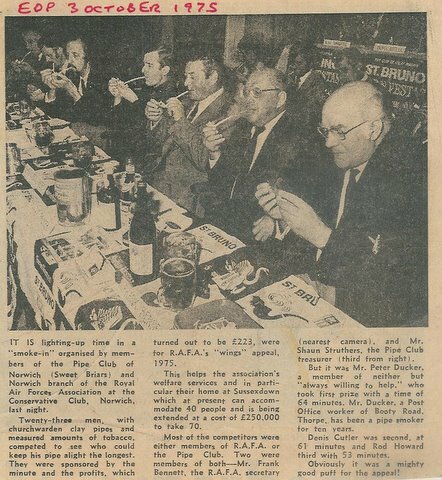 "I stayed at Lambert's until 1982 when the managing director died and it was sold to Imperial shops. I continued working for them at Gentleman's Walk and other shops until 1988, when the Gentleman's Walk shop closed down. And then we took over the shop in St Andrew's Street, which was then a shoe shop. We started that from scratch and it has gone from strength to strength." 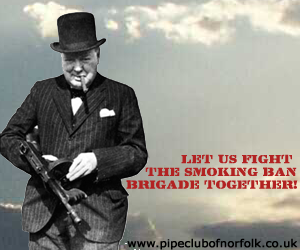 Contrary to popular belief, the shop was not named Churchills after the wartime PM Winston Churchill. He said: "It was next to a church and at the bottom of two hills, and that's how it became Churchill's." Mr Elvin has served under three different owners at Churchills, and Mr Garrard, 58, owner for the last four years, said he would be missed. 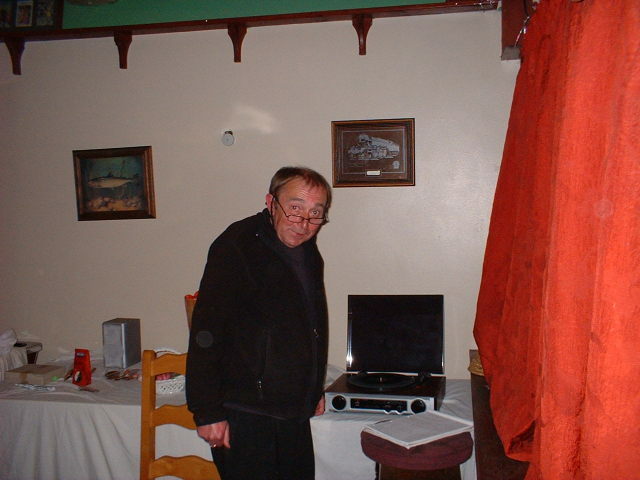 He said: "He knows the whole trade back to front and is popular with the customers." Mr Elvin said that, if it was left to him, May 31 would come and go without much fuss, but he probably owed it to his customers to let them know he was going. 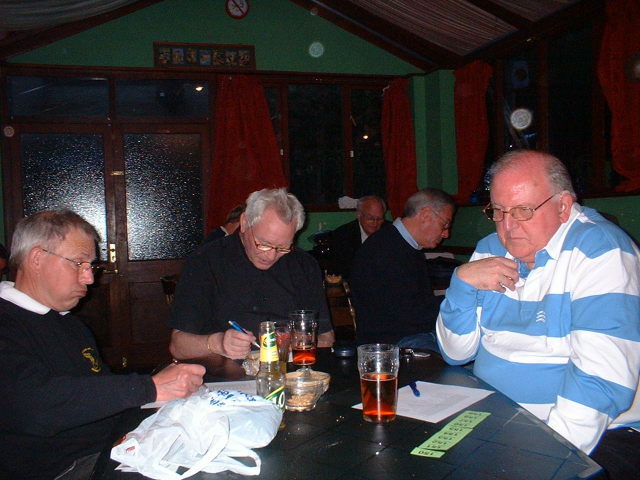 John Walker won the annual 4 grams (with no particular rules) competition with a time of 74 minutes. 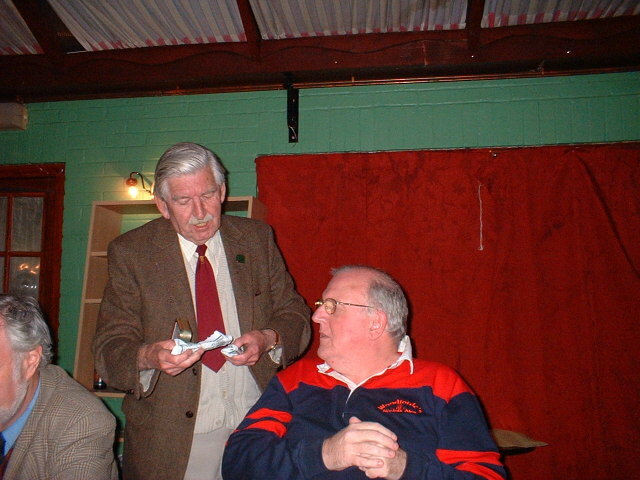 Reg presents runner-up Len with some tobacco. 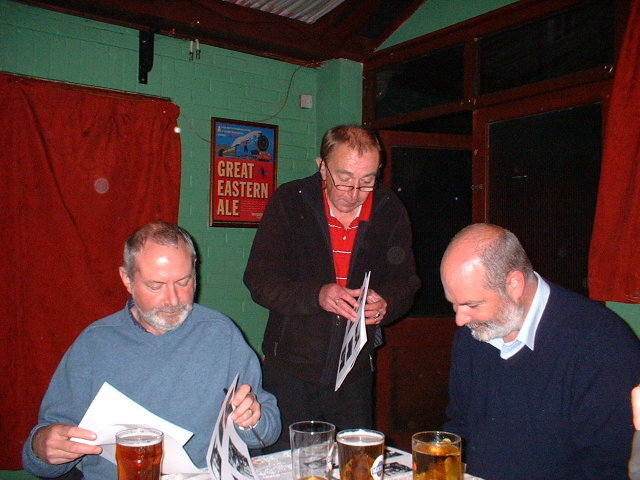 An excellent and most enjoyable picture quiz as usual by our old friend Ronnie Bobbin. "I know the face but can't place the name." 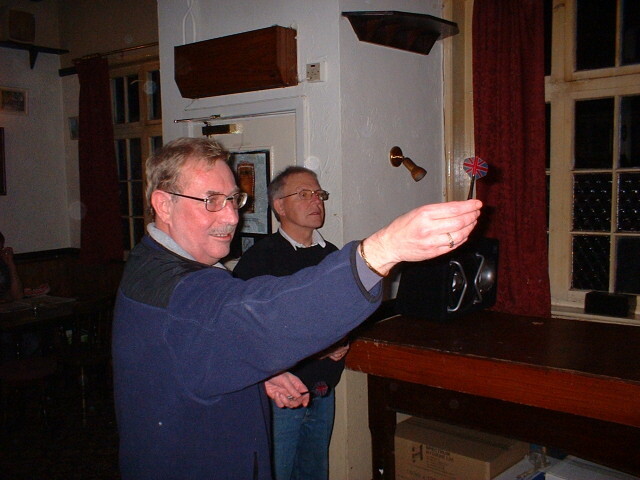 Keith's second quiz win this week. 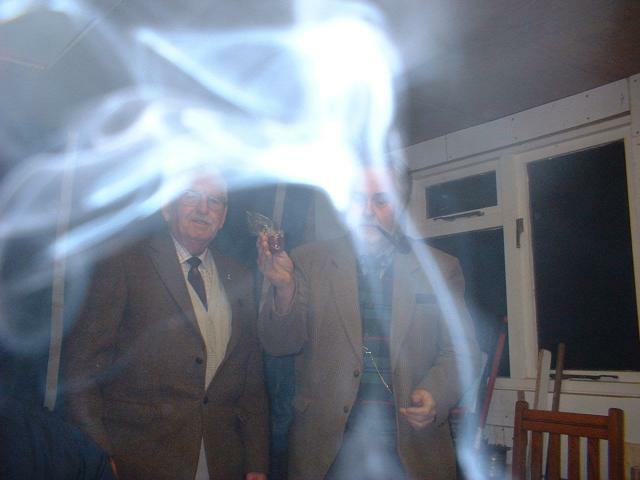 Congratulations to PCN founder-member Keith Coleman who won this year's 3gms Briar Smoking Contest. 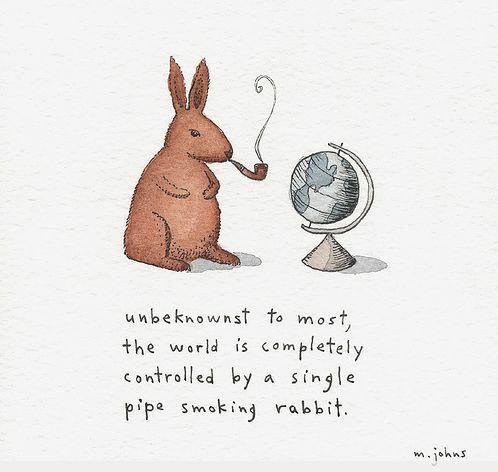 Which, by coincidence, was held on International Pipe-Smoking Day. 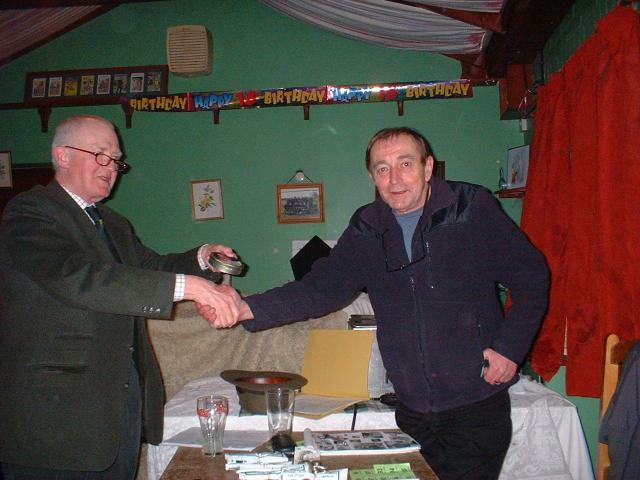 Chairman Len presents champion Keith with a BBB pipe. Frank looks pleased about something. 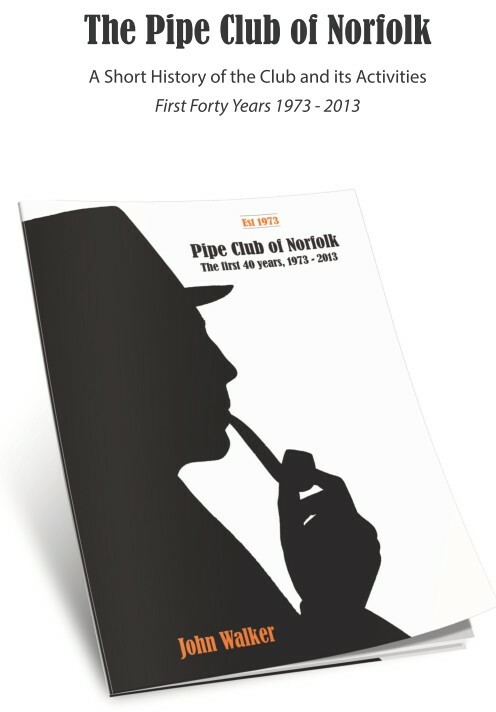 Richard peruses a pipe smoker's magazine. 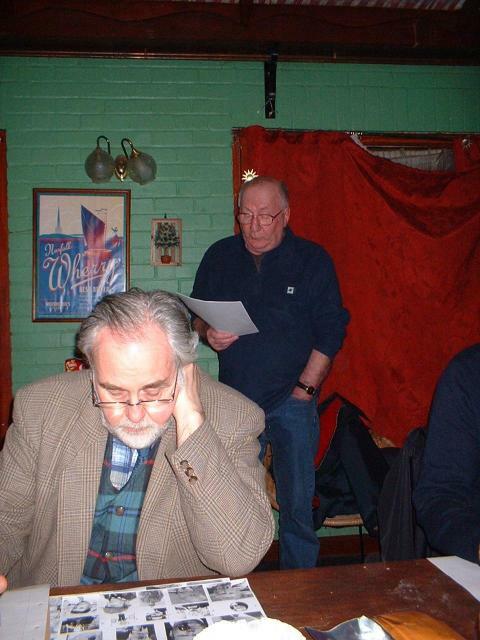 A remarkably upbeat AGM held at the PCN Smoke Easy (currently being redecorated). 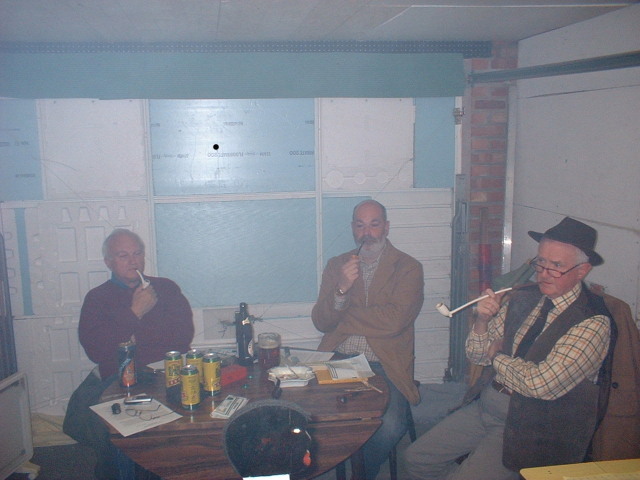 The club continues to thrive in spite of the smoking ban and it was decided to set up a sub-committee to study the feasibility of having a championship competition sometime this year. 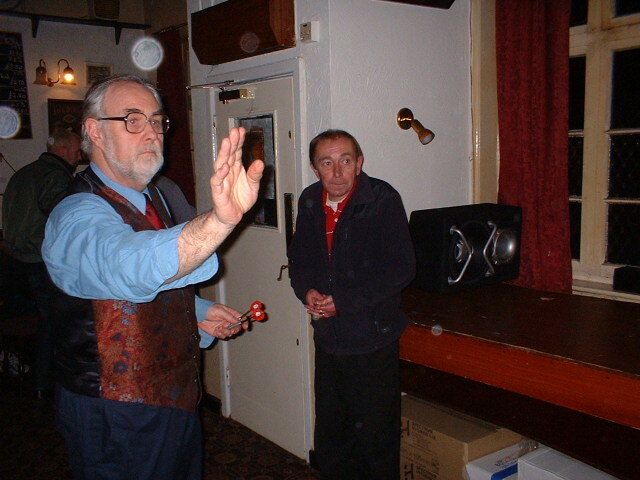 Chairman Len bangs his gavel! Keith offers Reg a free sample? It must be the way Reg tells them. Why not check out the new PCN Gallery?